One last dinner before I get to go home. It has been a long week and personally, I am all tired and weary. 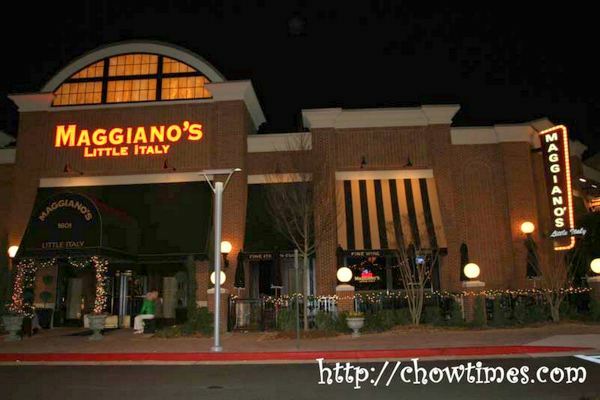 This time, Mark and Mark joined us at the newly opened Maggiano’s Little Italy in the Cumberland Mall. 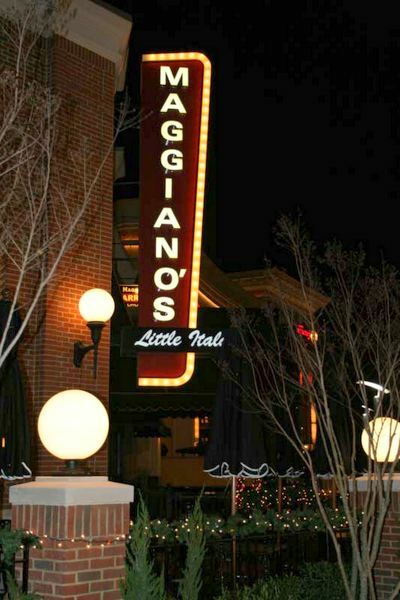 Maggiano’s Little Italy is a casual dining restaurant chain specializing in Italian food. This restaurant chain is operated by the same company which operates the Chilli’s, On the Border and Romano’s Macaroni Grill. It was a busy night at Maggiano’s that day. Rob volunteered to go early and make reservation while I pop over to the nearby Circuit City to grab NHL07 game for Arkensen (it’s cheaper by $10 here in the US). Despite making a reservation early, we still had to wait for quite a bit. These American chain restaurants are really something. We don’t have many close to these types of restaurants in Canada. The decor, the experience, the menu, the staff … they were so well designed to entice people to these places. Once seated, the bread came quite fast. So tell me, do you prefer your bread with butter or olive oil? 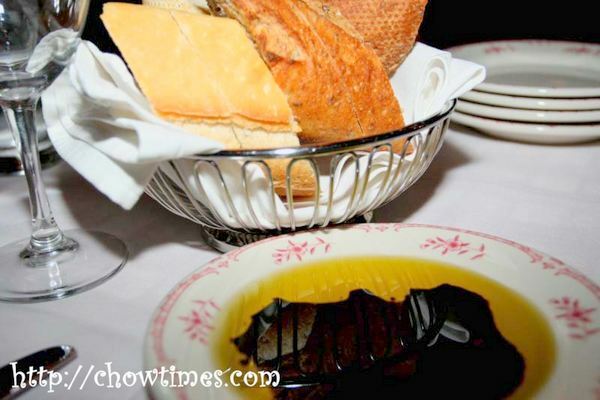 I have not really gotten used to having bread with olive oil (and balsamic vinegar, is that what the black blob is?). Not that I don’t touch it or that it tastes awful but I’ll take butter anytime over this. No appetizers this time — just the main course. Frankly, I have been over eating in this trip. I find that when I travel, I always had the tendency to eat more than I normally would. He he … I do feel guilty about all these eating sometimes. Let’s see … I had steak, salmon, redfish and seafood already the past few days. That leaves chicken. There are not much choices for chicken I see on their menu. I am not sure why I chose this but I ordered the Stuffed Chicken Fontina. 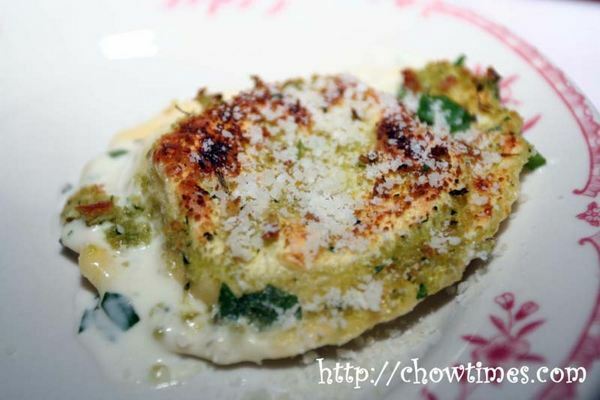 This dish consists of two chicken breasts stuffed with mushrooms and Fontina Cheese. Fontina is an Italian hard cheese with a mild flavour. It was alright — I would not say that it was great, just alright. Rob had Ravioli, not sure which one he got. It was quite a big plate too and so he gave me one to try — it was great. I should have ordered pasta instead. The plates in Maggiano’s are huge. Mark G were held up by at the office and joined us when we were about finished. So, we decided to stay on a bit more. We ordered some dessert although I was so full. For dessert, I had the Maggiano’s Signature Spumoni ($3.95). 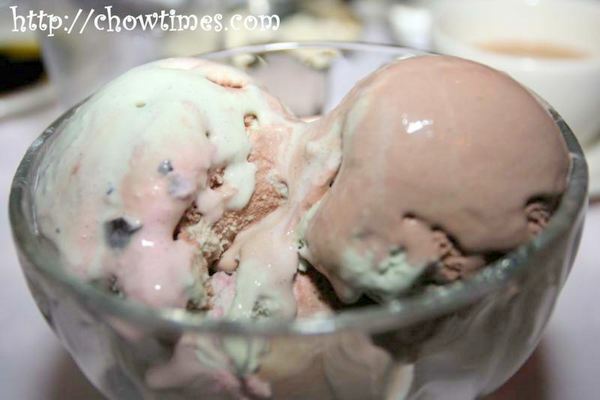 This ice-cream is a blend of pistachio, chocolate and cherry. 4weeks is a long time away from home. My longest was 3 weeks on business.. and my other longest is here.. in Canada.. 6 yrs.. hahha! We used to have our company dinners at Maggiano’s all the time. The good thing about chains is that they tend to offer consistent levels of food and service. The bad thing is their food quality tends to be average or slightly below. 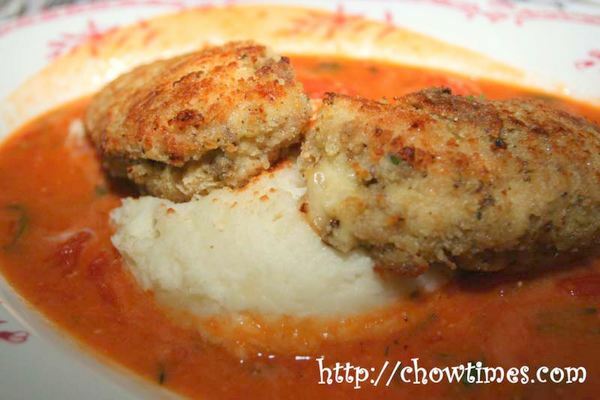 Maggiano’s is one of the few with above average offerings.